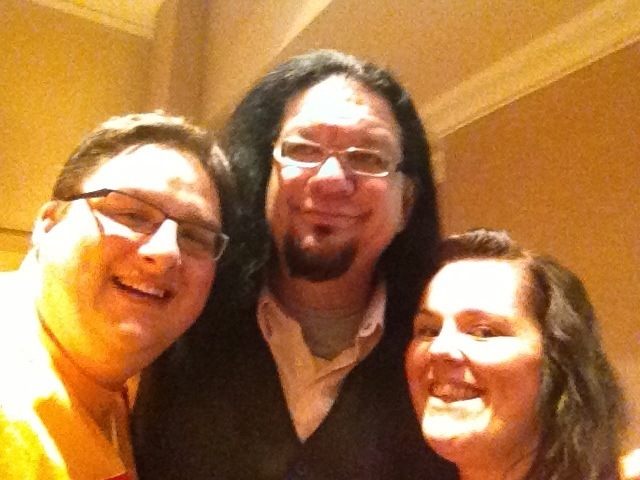 Tonight was one of my favourite nights of the Honeymoon…we went to see Penn & Teller at The Rio Hotel. I had seen their show 8 years ago but absolutely nothing was taken away from the spectacle of everything. Penn is the voice of the duo, providing a verbal inside into their world of illusion, from how the art of sleight of hand is used to perfection through to his view on airport security and the bill of rights. He is even a dab hand on the Bass…! 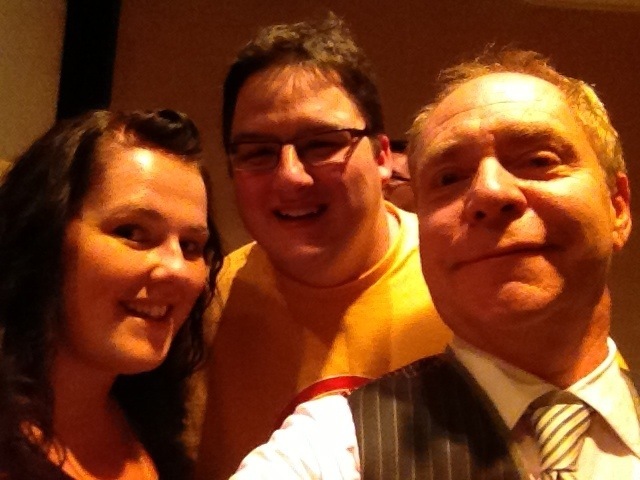 Teller is the “do-er”. He is possibly the best slight of hand magician in the world and his craft and execution is brilliant. There was a mix of old and new in the show. The new being a comedy “teapot” illusion, and a fun audience participation ring trick, through to the old coins from water trick ad the bullet finale which I have seen performed live twice and in TV a number of times and I still cannot figure out how it is done! The awesome part about heir show is that afterwards they stick around to meet and greet everyone who wants to see them. You’d never see Copperfield doing that! I would recommend this show to everyone! If you are in Vegas, go see it! In other news, we went up to the Outlet Mall in the North today to buy a new bag to replace a broken suitcase! We also did a bit of gambling at the Rio before the P&T show playing the 1cent slots and getting the free/$1 beers. Nice! This entry was posted in 2013, 365, Food, Honeymoon In Vegas and tagged Penn & Teller, Rio. Bookmark the permalink.